While our focus here at Co-Optimus has been and always will be cooperative video games, from time to time, we cover co-op tabletop game news as well. A hard to find, out of print co-op board game, Wok Star, is in the final hours of a successful campaign on Kickstarter. The initial print run in 2010 sold out quickly, and for the second print, publisher Game Salute took the crowd funding route to get the game into more gamers' hands. 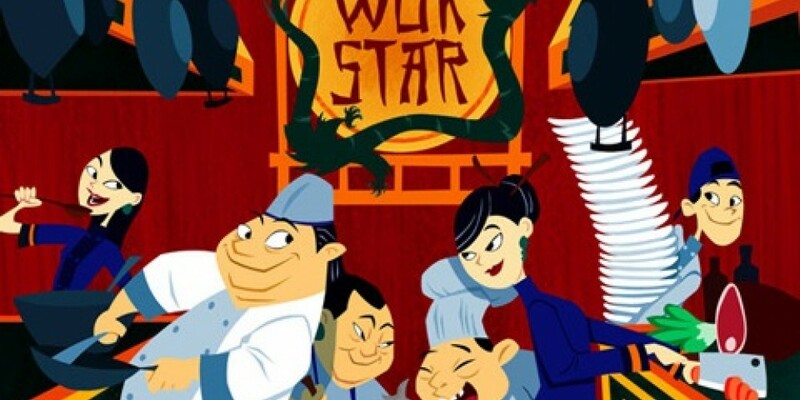 Wok Star is a cooperative, real time board game, in which players work together to run a Chinese restaurant. Think Diner Dash, but with cardboard chits, dice, and cards, and on your dining room table. A timer keeps the action flowing as each character plays cards and rolls dice in combinations to mix the right ingredients in order to meet the varied needs of different customers. Serve as many as you can, as quickly as you can, and improve your restaurant from round to round. At the end of the game, if you are profitable enough, you win! I was thrilled to see Wok Star would be coming back into print, as I missed picking up a copy the first time around. This second edition will have upgraded components, streamlined rules, and of course, the requisite Kickstarter rewards. If co-op real time Chinese takeout sounds fun to you, check out the Kickstarter. We'll have more coverage of Wok Star for you when the game ships next spring. Page created in 0.5966 seconds.